Hey girls!! I'm back! For the ones who follow me on instagram (@mafaldacastro), knows I've been in Verona, Italy, for the Tezenis Fashion Show. As the portuguese ambassador of the project #TezenisYoung, I was invited to do a bunch of stuff with the brand, all related to this amazing fashion show. For the ones who don't know much about Tezenis, it is such a cool and young brand, full of good energy and it's the right place to find the trendy pieces in underwear, beachwear and easywear, In today's post I show you some of the things I've been doing while I was there. No dia em que cheguei a Milão, fui directamente do aeroporto para Verona. Ficámos no Hotel Veronesi La Torre- onde estava hospedada toda a equipa da Tezenis e todos os convidados. O Hotel era lindo, super confortável, mas eu estava desejosa de dar uma volta pela cidade. Estavam quarenta graus mas ainda andámos imenso pela cidade. Verona é um sitio lindo e mágico. Tem história e beleza a cada canto que olhamos. Uma cidade cheia de charme e romantismo, bem cuidada e com imensas coisas para ver. Adorei conhecer, foi das minhas cidades favoritas que visitei na Europa. 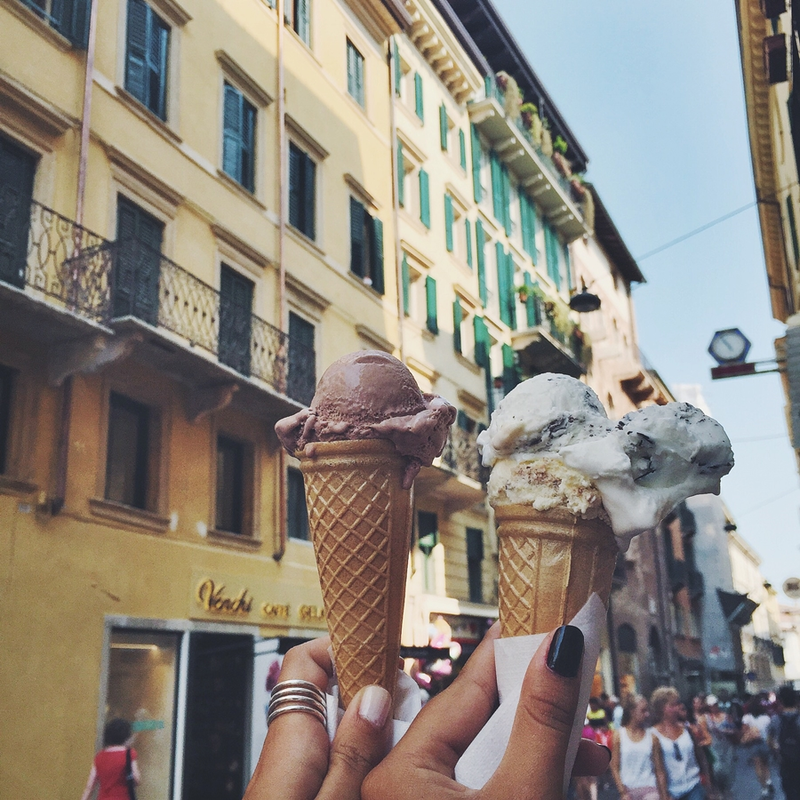 The day I arrived in Milan I went directly from the airport to Verona. 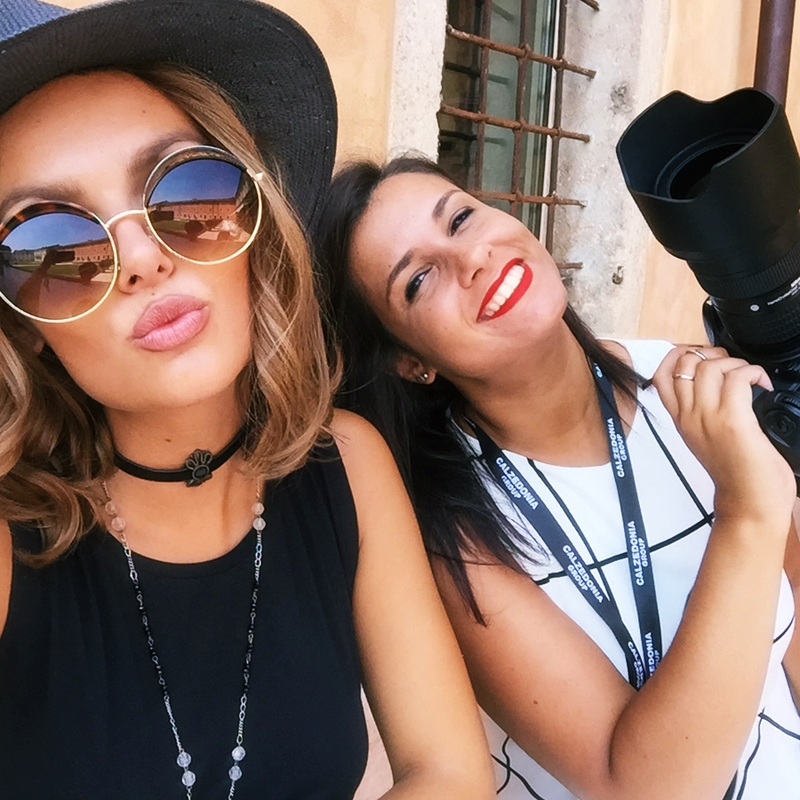 We stayed at the Veronesi La Torre Hotel- where all the Tezenis team was staying and all the media invited for the show. The Hotel was beautiful, super comfortable but I was so looking forward to get to know the city. The weather was so hot but we had a great walk in the city. Verona is a beautiful and magical place. There's history and beauty in each corner you look into. 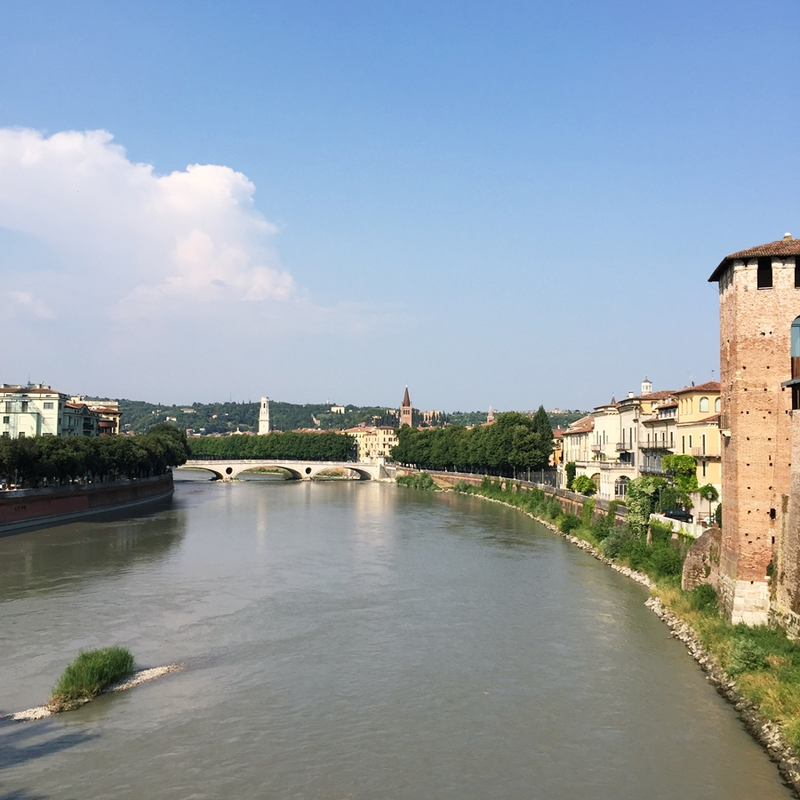 It was lovely to get to know Verona, one of the prettiest cities I visited in Europe. Usei este vestido da Primark (daqui a uns dias faço um outfit post com todos os detalhes). Um vestido super leve e fresco, mas mesmo assim tive imenso calor. I wore this Primark dress (in a couple of days I'll make an outfit post with all the details). The dress was so light and fresh, but it was still too hot for this day. Claro que tínhamos de comer um gelato!! Of course we had to eat a geleto!! Depois de um dia pela cidade, fui jantar com algumas da bloggers que estavam lá. Fomos ao restaurante Signor Vino, que é simplesmente divinal. Aconselho a todas as pessoas que vão a Verona para irem lá. Foi um óptimo jantar, as outras bloggers eram todas super simpáticas, tal como a equipa da Tezenis que nos acompanhou. After a day in town, I went out to have dinner with some of the bloggers. We went to a restaurant called Signor Vino, that is absolutly great! If you go to Verona I really recommend you to go there. 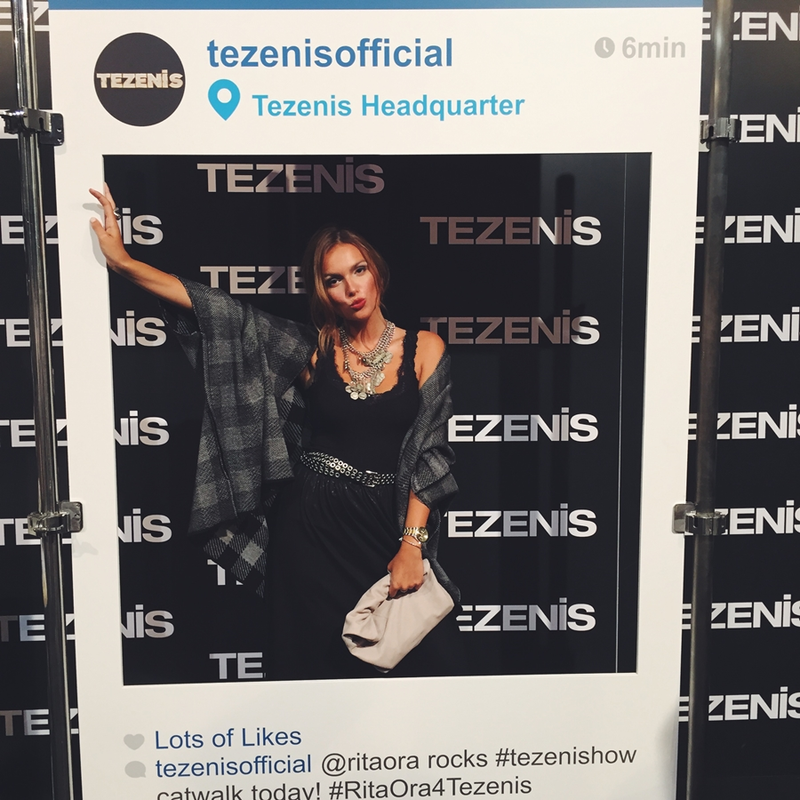 The dinner was super lovely, I had a great time with the bloggers and the Tezenis team. Everybody was so nice! A minha companhia foi a querida Marta Cabral, uma fotógrafa fantástica, super profissional e uma óptima pessoa. Foi muito bom tê-la comigo nesta viagem. My mate was the sweet Marta Cabral, a very nice and super professional photographer and a great person. It was so nice to have her with me. We started the next day by having hair and makeup done, and then we went to the backstage of the show. The usual backstage mess, pictures here, pictures there, and then it was finally show time. O desfile foi obviamente BRUTAL!!! Tudo pensado, todos os pormenores perfeitos. As colecções apresentadas são fantásticas, modelos cheias de atitude, uma vibe completamente Tezenis- young and fresh. A performance da Rita Ora foi espectacular. Quero falar-vos mais das colecções que foram apresentadas, mas por enquanto ficam com um bocadinho do que foi. A marca vai ter muitas surpresas, colecções acessíveis para todas e acima de tudo, muito giras! The fashion show was absolutely AMAZING! Everything was perfect, all the details. The collections that were presented were amazing, the models had tones of attitude, the vibe was very Tezenis- young and fresh. Rita Ora's performance was great and made everything even better. I want to tell you more about the collections but for now I leave you with this pictures. The brand has loads of surprises ready for you, affordable for everyone and above all very cute! Durante o resto do dia tivemos a preparar algum conteúdo para o blog e para o projecto Tezenis Young, e no final do dia vimos o desfile de novo. Depois fomos jantar e foi a after-party. Foram três dias óptimos, e ainda tenho muita coisa para vos mostrar. Obrigada a todos pela oportunidade, e a vocês por estarem desse lado. For the rest of the day we got some pictures taken for our blogs and for the Tezenis Young project, and we saw the show once again. Then we went to have dinner and for the after-party. Everything went so great and I still have a lot of things to show you. Thank you everyone of the opportunity, and thanks to you for being always here. Admiro imenso o teu trabalho!